﻿ [Cabling knowledge] how to distinguish between optical modules? The fiber optic connector consists of a plug of fiber and fiber, and the plug consists of a pin and a peripheral locking structure. According to different locking mechanism, fiber optic connectors can be divided into FC type, SC type, LC type, ST type and KTRJ type. FC connector with threaded locking mechanism, is invented earlier, the most used one of the fiber optic active connector. SC is a rectangular connector, developed by the NTT, without screw connection, can be directly plug, compared with the FC connector with a small operating space, easy to use. Low-end Ethernet products are very common. LC is developed by LUCENT Mini type SC connector, with a smaller size, has been widely used in the system, is the future development of fiber optic connector in a direction. Low-end Ethernet products are very common. ST connectors are developed by AT & T, with bayonet locking mechanism, the main parameters of the indicators and FC and SC connector quite, but the company is not commonly used, usually used in multi-mode device connection, and other manufacturers equipment When docking, use more. KTRJ pin is plastic, through the needle positioning, with the increase in the number of plug, the mating surface will wear, long-term stability as ceramic pin connector. Huawei identified SM as single mode, MM is multi-mode. General manufacturers will be in the color of the ring to distinguish, such as: black pull ring for the multi-mode, the wavelength is 850nm; blue is the wavelength of 1310nm module; yellow is the wavelength of 1550nm module; purple is the wavelength of 1490nm module. XFP (10 Gigabit Small Form Factor Pluggable) is a heat exchange, independent of the communication protocol optical transceiver for 10G bps Ethernet, SONET / SDH, Fiber Channel. Small pluggable transceiver module (SFP), the most widely used. RJ45 electrical small pluggable module, also known as electrical module or electrical module. 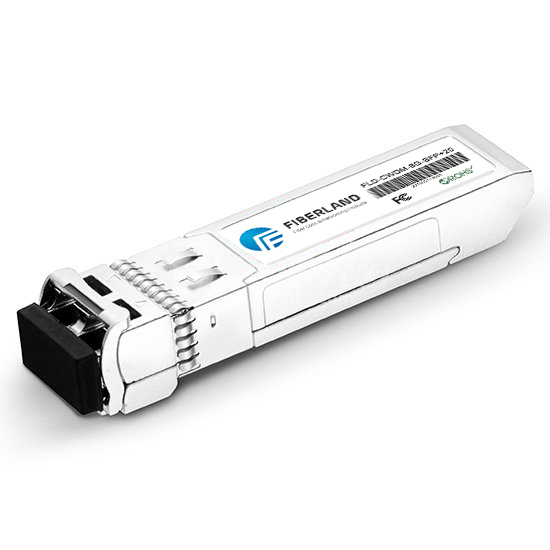 GigacBiDi series of single-fiber bi-directional optical module is the use of WDM technology to achieve a two-way optical fiber transmission signal (point-to-point transmission, especially fiber resources, the need for a fiber transmission bi-directional signal). GigacBiDi includes SFP single-fiber bi-bi-directional (BiDi), GBIC single-fiber bi-directional (BiDi), SFP + single-fiber bi-directional (BiDi), XFP single-fiber bi-directional (BiDi), SFF single-fiber bi-directional (BiDi) and so on.